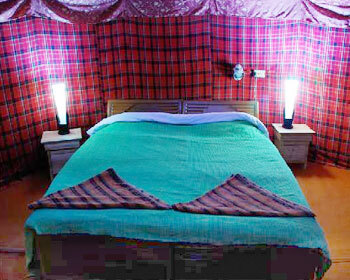 Hotel Ladakh Sarai Ladakh is a three star hotel situated 3 Kms from the airport and 1.5 Kms from the bus station. Leh town is just 10 minutes drive through scenic driveway through winding streets, quaint bazaars and desert stretches. 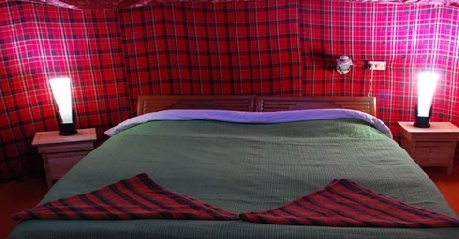 The hotel was founded in the year 1978 by British adventure travel pioneers and then nomad style of yurts is maintained till date in the same manner. 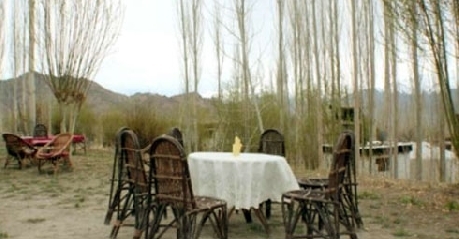 The premier eco resort is situated above the ranging Indus River and resting quietly below the massive Ladakh range. 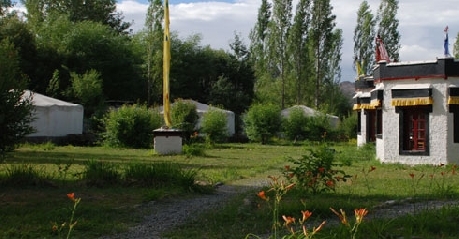 The yurt styled bungalows is situated amidst the peaceful and serene green oasis and nestled in a beautiful grove of willow, poplar, apricot and apple trees. Thus, it differs from other hotels and also ideal for leisure as well as business travelers. Ladakh is also an ideal place for all kinds of adventure sports. 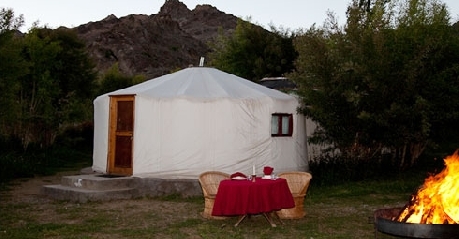 All of the yurts are designed after the Central Asian and Mongolian “Akois”. They are draped with local soft colored fabrics from top to bottom, pillowed tapestry ceilings, canvas walls and traditional rugs. The moon shining through the windows provide you with a romantic atmosphere. 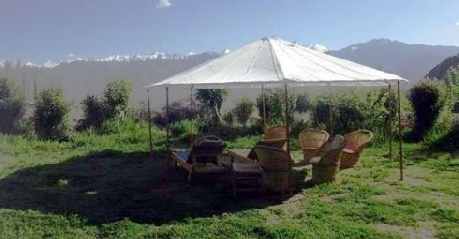 The yurts also have a small sitting area from which you can have the view of Zanskar range and Stok Kangri mountain range. The amenities available are attached bathrooms with hot and cold water, 2 twin beds, intercom, LCD with satellite connection, toiletries, power back-ups, Wi-Fi facility, left luggage facility, doctor on call, laundry service, free car parking, car rental, rooms are heated with Bhukharis, 24 hours emergency oxygen cylinder, 24 hours room service, laundry/dry cleaning, etc. 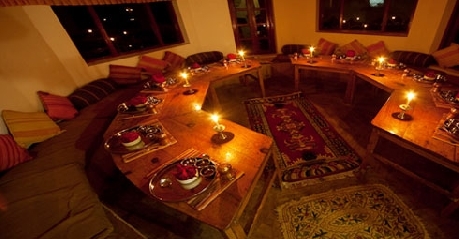 The eco resort has two on site dining restaurant and two lounge that serves delectable multi-cuisine Gujarati, North Indian, Chinese, Ladakhi, Mexican and Continental food. They also have special arrangement for serving pure vegetarian and Jain meals for discerning guests. You should not miss out on Ladakhi dishes at any cost. The restaurant is maintained well and serves delicious and hygienic food. After the meal you can relax in the hammock with a refreshing drink.